TWO ONLY - SAVE £400! 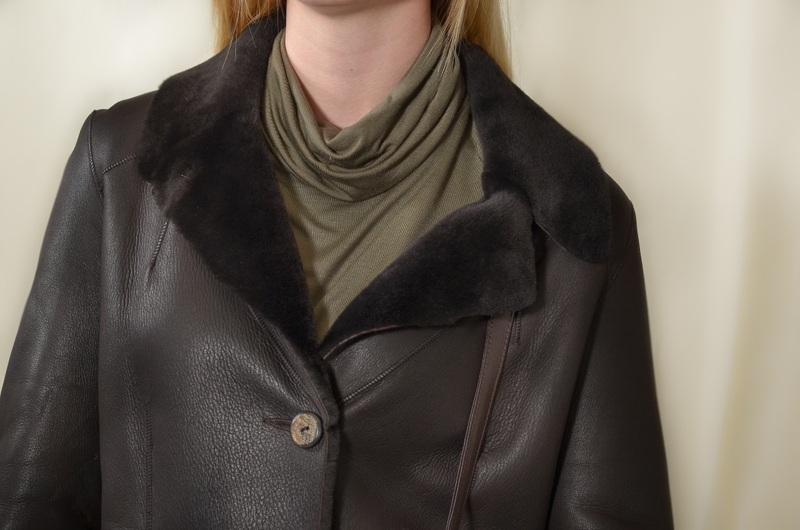 Specially designed for the woman who wants a gorgeous yet practical extra lightweight Shearling coat. Incredibly soft Dark Brown Nappa Merino Shearling 7/8th. length coat. The Nappa (leather) finish to the skins ensures they are really serviceable, as most surface marks can be easily wiped off with a damp cloth. Fitted slimline body that flares out from the waist to the hem, with rever collar and tailored sleeves with turnback cuffs. The collar can be worn open as pictured or fastened high in the neck. 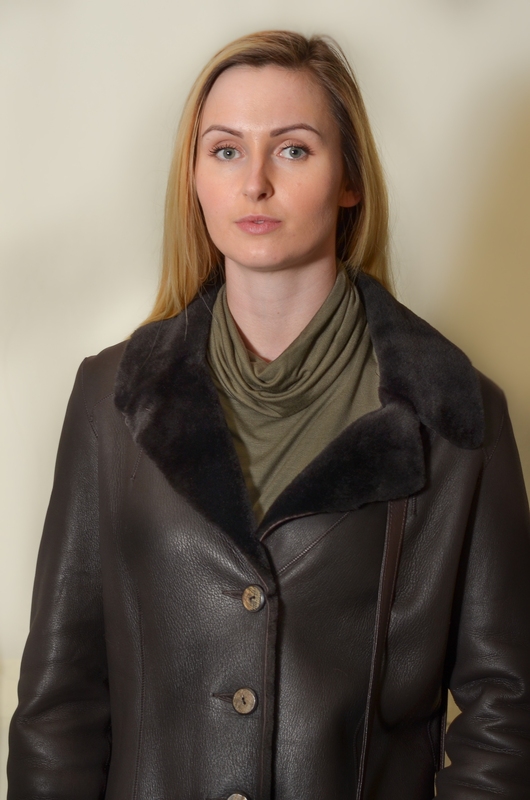 All the outer edges of the coat have been left unturned to show an edging of the soft inner wool and give a softer lightweight feel to the coat. Button and buttonhole fastenings. As light in weight as a cloth coat, but warm enough for even the coldest climates! Last two available at this price, as listed in the selection box below (further pictures to follow).